Before lunch, we met with Father Antoine Adrien, a former priest in Brooklyn, New York, a current priest in Haiti, and currently a member of the Committee to Honor and Respect the Constitution and a close personal associate of President Aristide. Father Adrien discussed the December 16, 1990 elections at which time Father Aristide was elected. Former U.S. President Jimmy Carter and staff from the Carter Center were designated as official election observers to assure fairness. On the eve of the election, i.e., during the evening of December 15, Carter acknowledged having been briefed by officials of the U.S. Embassy in Haiti that Aristide would lose the elections, and that frustrations publicly expressed by Aristide supporters after the elections would likely result in their brutal massacre by the Haitian military. 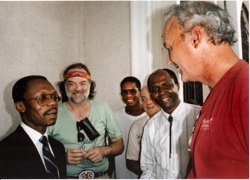 Thus Carter, Carter Center staff director Robert Pastor, and observer Andy Young, speaking with Father Adrien in his home, requested that he convince Aristide to concede the elections that night by going on national radio and television. 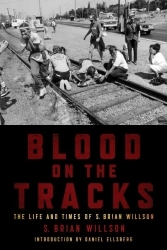 Adrien furiously responded that there was no way Aristide could lose, and that it was obvious that Carter and the U.S. Embassy did not know the pulse of the Haitian people. He escorted the Carter party out of his house. Father Adrien acknowledged awareness that the Carter observer team was financed by the CIA front organization, U.S. Congressionally funded National Endowment for Democracy (NED). The Carter team had observed the February 1990 Nicaragua and May 1989 Panama elections, both funded by the NED. The Carter team repeated their incredible request for Aristide’s concession on the afternoon of election day, long before the election results were completed and reported, to “prevent bloodshed” of disgruntled Aristide supporters by the Army. Adrien reminded us that Aristide won with 67% of the vote in a field of 12 candidates, one of whom, Marc Bazin, was the choice of the U.S. And this victory occurred, he said, despite widespread election fraud at polling stations still manned by Duvalierists. He estimated that if fraud was eliminated as a factor, Aristide would have won at least 85%, perhaps over 90% of the vote. (1) A very high mortality rate, especially among infants (100/1,000 infant mortality rate before one year of age). It is estimated that 50% of all children die before reaching five years of age. (2) Very few available medical resources. There are shortages of financial and material resources. The health budget comprises 10% of the total budget, and amounts to less than $30 million a year for 6.5 million people (less than $5 per person per year). Haiti is one of the most densely populated countries in the world. (3) Lack of any real health care system. Only 10% of the population can pay for private health care. The public system has less than $5 available per person per year. There are only 17 hospitals and 480 clinics, all woefully underfunded. The per capita income is $360 per year. Minister Henrys then identified the priorities of his administration. (l) Responding to malnutrition, afflicting 70% of children under 5 years of age. (2) Responding to tuberculosis, other pulmonary diseases, and leprosy. (3) Immunization for communicable diseases such as malaria. (4) Treat water supplies to reduce cholera and diarrhea due to poor water and sanitation conditions. (5) Develop a health system for mothers and children, including family planning. (6) Providing extensive medicines for children in school. (7) Developing national dental care. (8) Developing emergency medical care. (9) Responding to AIDS problem. Haiti had 3,000 new cases in 1990, mostly in urban areas. Meeting with Jean-Bertrand Aristide at Haiti's Presidential Palace, four months after his inauguration as President. L to R: Aristide, Brian, unidentified aide, Dwight Willson (Brian's brother), Father Jean-Juste, and ex-FBI agent Jack Ryan. [Note: The Presidential Palace collapsed in the January 2010 earthquake; Aristide remains in exile in South Africa after his forced removal by the US in 2004; Fr. Gérard Jean-Juste was a Roman Catholic priest and rector of Saint Claire’s church for the poor in Port-au-Prince. He was a liberation theologian and supporter of the Fanmi Lavalas political party, the largest in Haiti. In 1978, Father Jean-Juste founded the Haitian Refugee Center in Miami, Florida where he was a beloved figure among South Florida’s Haitian community. He gained renown throughout Haiti and the Haitian diaspora as a determined opponent of the interim government of Prime Minister Gérard Latortue, the de facto ruler after the US/CIA violently kidnapped and overthrew Aristide in 2004. Juste remained in Haiti after Aristide’s forced removal, and was incarcerated for seven weeks before his release in November 2004 following outcries of opposition to his incarceration. He died of cancer in May 2009, at age 63]. On Tuesday evening, we were briefed by Ronald Derenencourt, or Aboudja, a Vodun (Voodoo) priest.. He started out with a brief history lesson. Columbus landed on Haiti, December 6, 1492 looking for more land for Spain and new servants at hard labor for the Catholic Church as they became Christianized. In 1501, black slaves were first brought to Haiti. By 1800, there were nearly 500,000 slaves. They developed a way of life, a philosophy called Vodun, derived from a mixture of many African cultures among the slaves. Vodun is as much a way of life as it is a belief system or religion. It developed from living in resistance to colonization in the Haitian mountains and from studying plants and wildlife. The 1791 slave revolt was inaugurated by a vodun priest and vodun ceremony. The slaves succeeded in their revolution in 1803. The Catholic Church became increasingly intolerant of vodun and often used the adherence to vodun as a reason to support the various colonizers of Haiti. In 1934, the practice of vodun was prohibited by law. This was the year the lengthy U.S. occupation ended. In the U.S. 20 year occupation, it is reported they shipped 50 million metric tons of wood (trees) a year to the United States. For believers in vodun, spirits are thought to live in trees. When trees are cut down, the spirit is assaulted, causing grief for the believers. Thus, the Catholic Church and U.S. government campaigned hard to stamp out these kinds of “superstitions” that were interfering with the economic “progress” (exploitation) of Haiti’s natural resources. In vodun, every person, everything, is sacred and must be treated accordingly. There is unity in all things. The spirit resides everywhere. There is no distinction between secular and sacred. Since virtually all Haitians possess an African heritage, nearly 100% of Haitians have a vodun heritage. According to Aboudja, 80% of Haitians practice vodun, a way of life more than a religion, that accepts truths from any religion or belief. Vodun is not written; it is communicated as a 100% oral tradition. The 1987 Constitution legitimized for the first time Kreyol (Creole) as a language and vodun (voodoo) as a practice. We visited the historic wooden structure, Hotel Oloffson, in Port-Au-Prince. It served as a U.S. Marine Corp hospital during the 1915-1934 occupation. Cite Soleil, adjacent to the ocean near downtown Port Au-Prince, “houses” 100,000 people in one square mile. It is broken up in 4 quadrants (neighborhoods): “Boston”, “Brooklyn”, “Soleil” (“Sun”), and “Carton”. The Salesian Fathers operate 140 schools in Cite Soleil and distribute food in each of the quadrants. Drawings, posters, and photographs of President Aristide (“Titid”) were everywhere to be seen in Cite Soleil. People seemed ecstatic and hopeful. They consider Aristide to be truly their advocate and spokesman. After eating lunch at the Museum of Art Garden Cafe, we toured more of the area, observing the National Penitentiary, the U.S. Embassy, several markets, and the entire Port-Au-Prince basin area from a distant mountain top overlook. We also inspected Aristide’s burned out St. Jean Bosco Church building and the former torture penitentiary, now abandoned, that was operated by the Macoute (death squads). This entry was written by brian, posted on at 5:48 pm, filed under The Most Dangerous of Rogue Nations: The United States, Haiti. Bookmark the permalink. Follow any comments here with the RSS feed for this post. Post a comment or leave a trackback: Trackback URL.